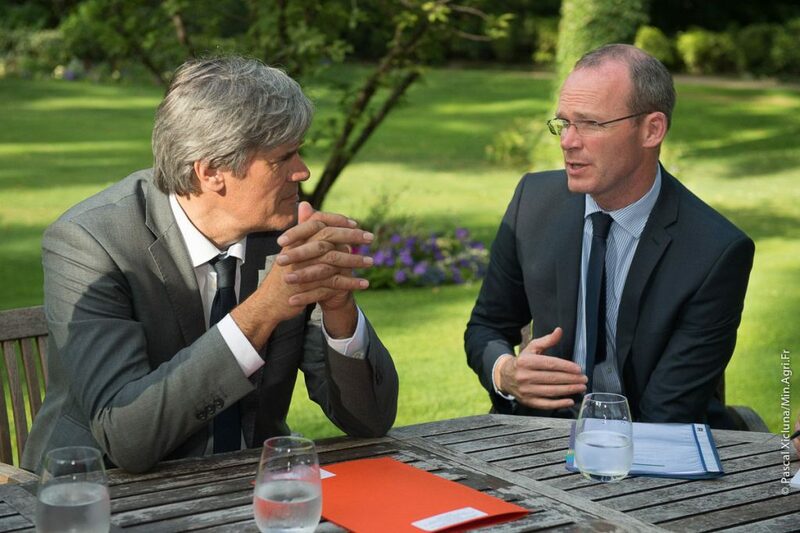 Minister Simon Coveney and his French counterpart, Stéphane Le Foll. 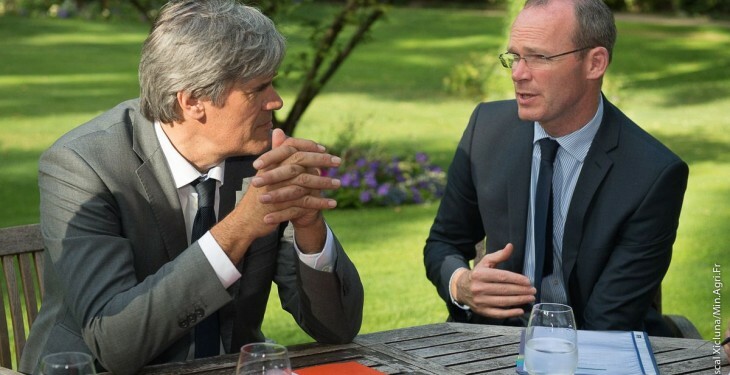 The Minister for Agriculture, Simon Coveney met his French counterpart, Stéphane Le Foll in Paris yesterday (Tuesday) to discuss climate change. The Ministers discussed the issue of climate change and agriculture and more specifically, preparations for the upcoming UN conference on climate change which will take place in Paris at the end of the year. Both Ministers agreed that agriculture can be part of the solution to the challenge of climate change and in this context, a range of mitigation initiatives that would help address the twin priorities of climate protection and sustainable food production were discussed. The two Ministers agreed to collaborate closely on these. Speaking after the meeting, Minister Coveney said he was delighted to have the opportunity to discuss with Minister Le Foll the role that agriculture can play in the climate change debate. “These sectors must play their part in the transition to a safe and sustainable, low-carbon future and we had a very fruitful discussion on approaches and initiatives on how to do this,” he said. The Ministers also discussed the current EU – US negotiations for a trade agreement as well as ongoing trends and developments in the dairy, beef and pork sectors. Following a three-day farmer blockade of the 17 most important beef abattoirs across France due to poor prices. Minister Le Foll, met representatives of the French meat industry recently, to try to find a solution to the crisis in the sector. An agreement was reached involving a gradual increase in the prices paid to producers of 5c/kg per week to around €4.50/kg. However, two weeks later, factory prices have shown little change, increasing by only 1 and 2 cents respectively to reach €3.72/kg. Further fears are now being exacerbated by a potential Greek exit which would further exacerbate an already difficult French market situation, with a potential knock on effect on key French beef suppliers.